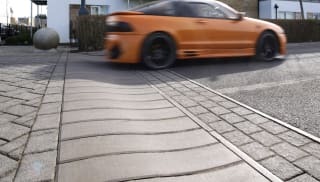 Marshalls supplies and can assist with the installation of road ramp systems, designed to improve road safety conditions. We provide a number of precast concrete products which are used in busy commercial spaces as well as residential areas where there is a need to reduce driving speeds. Each product meets guidelines set out in the Traffic Advisory Leaflets. Two types of speed cushions, plateau and domed, are placed in accordance with the average speed of vehicles in the area. S-ramps offer the smoothest ride-over experience for drivers and adjust to speed levels in the immediate vicinity. 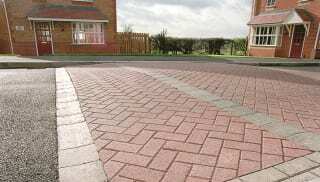 Made from precast concrete, they’re constructed in accordance with the Highway (Road Humps) Regulations 1990 and Road Humps (Scotland) Regulation 1991, as well as Traffic Advisory Leaflets TAL 2/96, 9/98 and 11/94. 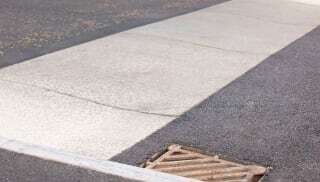 Other products are available in differing configurations – see our traffic calming measures page for more information.